After my brief stay in Ahmedabad I took a train and traveled to Bangalore (No matter wherever I am traveling there is something that keep bringing me to this city). 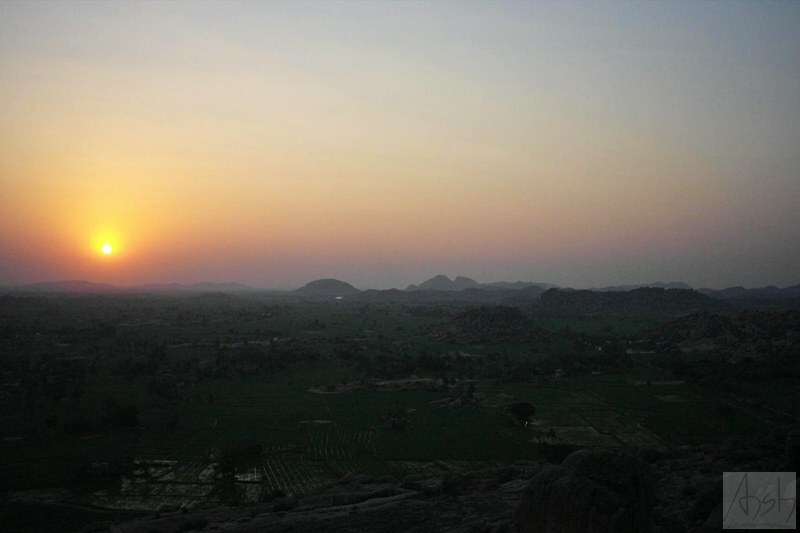 My plans were set to travel out of Bangalore and Hampi was the first place I was going to. Hampi, capital of the ancient Vijayanagar Kingdom is one of my favorite destinations that I like to visit every year. Hampi was the 2nd destination where I traveled alone to and since then I keep coming to this nomadic land and I make sure that I am here atleast once a year to experience how lazy, slow and still happy life can be when you set yourself in hands of nature. 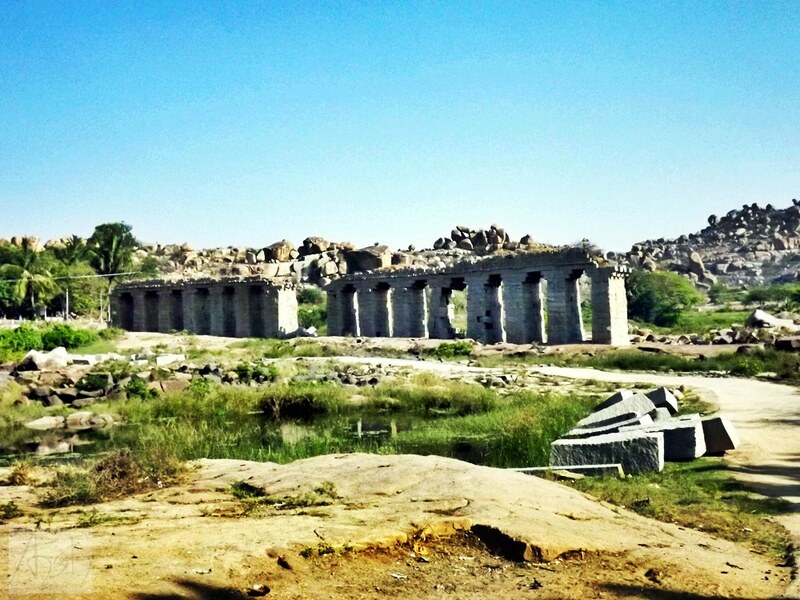 Best way to reach Hampi is by taking an early morning or late night train from Bangalore that will drop you in Hospet in 6 hours, that is way better than bumpy and costly bus journeys. Call it my badluck or being a smartass I decided to visit Bandipur national park first followed by a late night bus ride from Mysore to Hospet so that I’ll be in Hampi by early morning. Again best way to travel to Mysore is by an early morning train especially if you are planning to visit Bandipur. To my bad luck I reached Mysore in 4 hours, missed the last bus going to Bandipur and realized that bus service to Hospet is not as frequent as it is from Bangalore, also it takes more time compared to Bangalore. 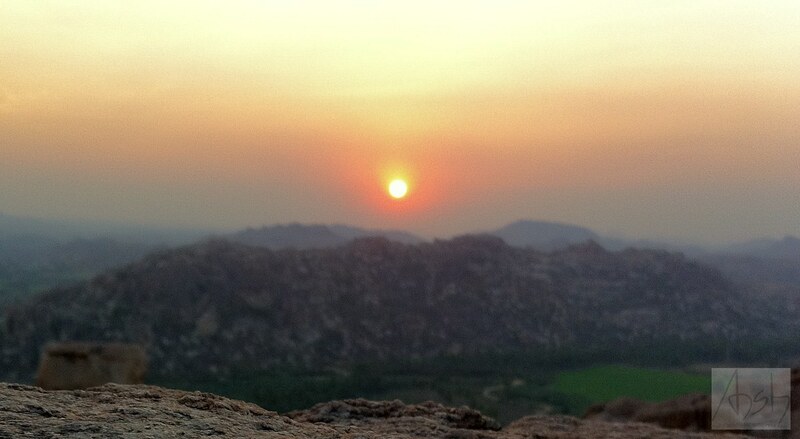 Anyways I had to pay a hefty amount to the last luxury bus service and after a 7 hour ride I was in Hampi. Month of March is quiet warm according to Hampi standards and if you are visiting this place for the first time then you can easily get cheated by the locals. I took a boat and crossed the river, climbed towards the village and my Hampi visit started. The ambience of this small village is very serene and beautiful. You can see tons of visitors from other countries visiting here looking for a laid back experience and a lot of sun tan. The other side of the river is filled with mud huts and stay houses made especially for people looking for long term cheap stay while most of the ancient ruins, temples and buildings are located on the opposite side. I reached Hampi around 9 and I was wandering around the village when a local walked towards me and asked me if I wanted to take bath with the elephants. Most of the villagers are nice people but I was kind of surprised at this gesture until I realized that I was looking terribly dirty after spending a day in Mysore and then getting drenched in sweat by the time I reached here. I politely denied him and started looking for a place to stay. 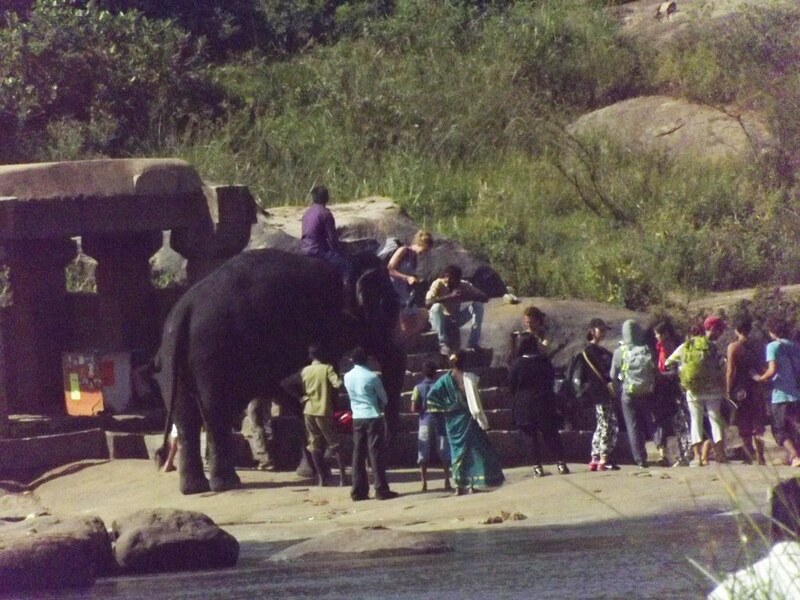 From far away I could see elephant spraying water on people standing next to it. Most of the Indian tourists who come to Hampi don’t prefer to stay overnight because there is nothing much to do around, but those who want to experience something different stay here for a longer time. This is one reason you’ll see most of the Indian tourists coming down here, taking a stroll or ride on the motorcycle and then leaving by evening. I was in no such mood. After freshening up in my stay home with that had a common bathroom from here I walked towards the silence, it is a structure that seems to be carved of single stone (Although it is my favorite spot to but I never cared to know why it exists). After spending sometime around I decided to cross the river and visit my favorite ruins and temples. 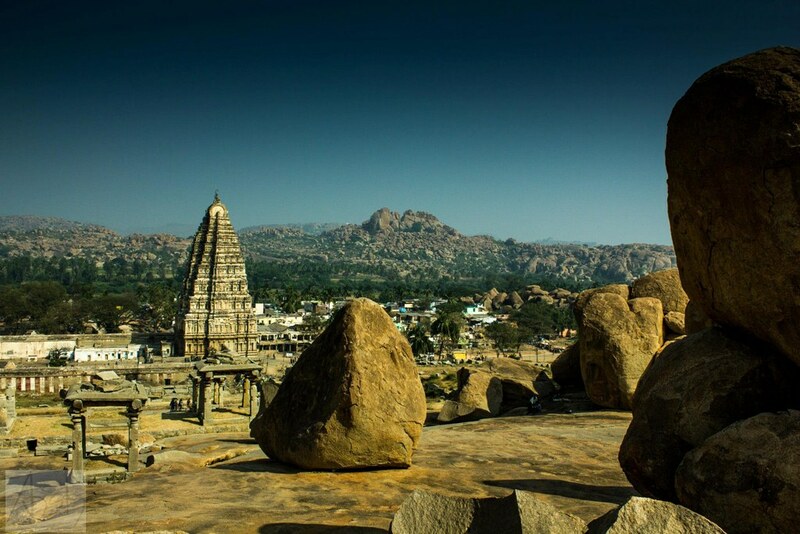 Hampi once used to be a glorious city which is quite evident from the giant structures. If promoted properly these ancient buildings can reach the same glory as Egyptian pyramids but sadly no one cares and in a way it is good. Hampi is still cleaner and quiet than many of the tourist spots in Karnataka thanks to lack of promotion. 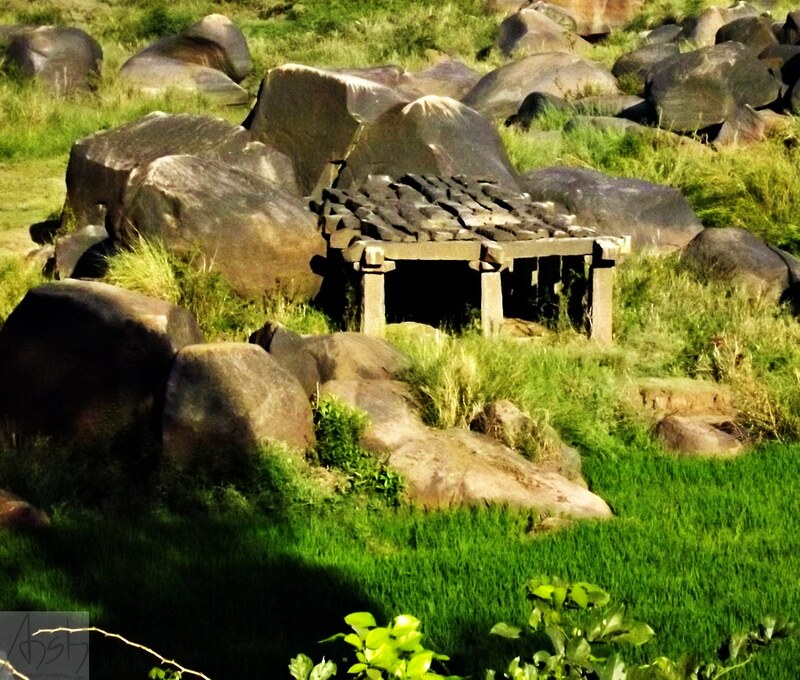 I took some rest in Elephant Stables, these buildings once used to house those giant elephants that once brought those huge rocks to Hampi that made these buildings. I always imagine how this place might have been back in those days when 100s of elephants would be roaring from their individual compartments. Next morning I woke up at 5, climbed up Matanga hill to watch the sunrise and then I packed my bags and left for Bangalore. Some memories were earned, some lessons were learned and the wanderlust in me is yet to settle down. PS: It took me 3 hour less to reach straight to Bangalore by bus compared to Mysore. I also blogged about wandering in the streets of Georgetown, Penang Island in Malaysia. Colonial Houses, Authentic Food, Street Arts and many more is what I have discovered! what do you think of old towns/ houses? have you been to a place like Georgtown before? what place is it? 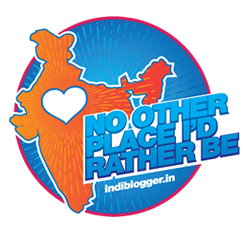 India is on my list as well, i cannot wait to try the train! hope you can drop some love on my blog too! keep me posted! cheers! Already done, let me know when are you dropping by in India. It will be a pleasure to show you around.